No one wants to be known among their creditors and lenders let alone their family as a deadbeat. Nobody intentionally sets out to be irresponsible with their credit or accumulate so much debt that it’s almost impossible to climb out. There’s bankruptcy as last resort to debt problems, but what about bad credit? That’s where credit repair enters as an option. Because you are ultimately responsible for ensuring that your credit report is accurate, laws were enacted — specifically the Fair Credit Reporting Act (FCRA) — to assist you. The FCRA gives you the right to contact the credit bureaus directly to dispute items on your credit reports. You can dispute any and all items that are inaccurate, untimely, misleading, biased, incomplete or unverifiable. What’s more is that any item that cannot be verified on your credit report must be deleted . You can also address an item on your credit report directly with your creditor. Creditor communications can lead to even faster results. Also, the Fair and Accurate Credit Transactions Act (FACTA) may be utilized primarily in situations where identity theft is concerned. 29% of consumers have variances of 50 points or more in their credit scores as reported by each of the three major credit bureaus. Experience plays a role in credit report repair as it relates to raising your credit score. There are many factors that affect a credit score, and understanding these factors is critical to your success. Debt to income ratios, credit type ratios, and of course, credit history, are just a few of the big ones. Your credit score is based on an algorithm which takes these factors into account. “Credit Repair” is when you improve your credit report using methods such as disputes, establishing positive credit, among other tactics. Visit The Credit People’s website today to learn more! Go now. Step 1: Get your credit report and starting credit scores. Step 2: Carefully review your credit reports. Review your accounts, the public records, and collections (if any) as well. Examine the 5 major areas that affect your credit score and see how you are doing in each area. Verify all personal information and look for errors. Do this for each of your three credit reports and pay close attention to detail. Step 3: Begin. Start the dispute process with your creditors or the credit reporting agencies as each situation calls for. Be cautious of taking any actions that could negatively impact your credit score. Evaluate your debts; create an action plan that caters to your credit score. Review your credit mix and make adjustments accordingly. Be careful not to negatively affect your credit score with a plan that is too aggressive or poorly planned. Address any needs for positive credit. Carefully consider the risks involved for both you and any outside help you receive. Step 4: Document your efforts, your communications, and remain organized. Evaluate the results of your efforts and make adjustments in your strategy if necessary. If you would rather have a professional company handle everything for you, we highly recommend The Credit People. Not only do they get you the best results possible, but they’re affordable, and they make it really easy. Either way, you have options, so get started. 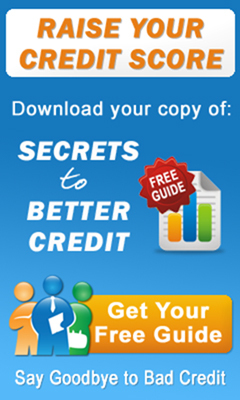 Learn more and visit The Credit People today.